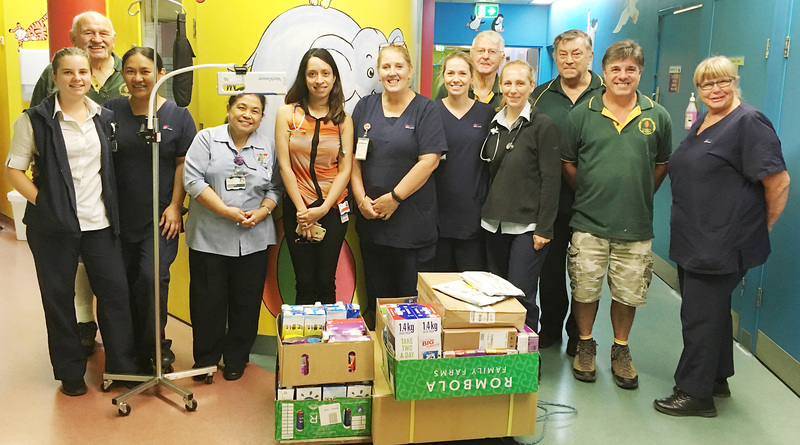 Members of the Western Sydney Woodturners Inc. regularly support Mount Druitt Hospital’s Children’s Ward. Members of the Western Sydney Woodturners Inc. visited the Children’s Ward at Mount Druitt Hospital recently to present the proceeds of their latest fundraising appeal. The team received $10,000 worth of goodies including a new vein finder, a laptop, a trolley and non-perishable food for patients’ families. The wonderful Woodturners have been generous supporters of the Children’s Ward for many years, raising funds by collecting donations and selling hand-made items and products at various events and fetes. Mount Druitt Hospital Children’s Ward nurse unit manager Mildred Villason said the staff from the ward were delighted to receive the new devices. “A new vein finder will allow quicker, more accurate cannulations and increase the level of comfort for our littlest patients,” Mildred said. “The second laptop and trolley will help make the ward more efficient. “Our families appreciated the selection of non-perishable foods helping parents of patients who arebusy tending to their loved ones. Thank you Western Sydney Woodturners! ← Transforming Westmead Hospital – what’s planned for 2018?